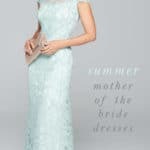 In my experience, when one is single lady or a bride-to-be, going to other people’s weddings — in addition to being a fun and joyous social event– is usually also a chance to see all of your friends’ style choices: What dress did she pick? What are the flowers like? What was the signature cocktail? What did the bridesmaids wear? All of these details go into one’s own mental wedding planning file, and help shape the ideas that eventually make up your own day. Also in my experience, after one is married, all of those weddings — in addition to now being something you really look forward to, (married couples love weddings – it’s like a ready-made romantic date night for us, and we’re happy to see you get hitched, too.) –all of those details you love now go into the, ” Gee, I wish I had done that,” area of one’s brain. I had the first of those moments a few weeks after my own wedding, when I attended my friends’ nuptials in my hometown. 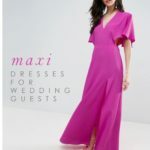 The bridesmaids wore beautifully bright raspberry colored Coren Moore dresses, and everything about them had made me wish I had gone for the bright color and chic style. In case you’re wondering, I (regrettably?) had my maids choose their own dresses from anywhere, which I’m sure I’ll write more about… someday! 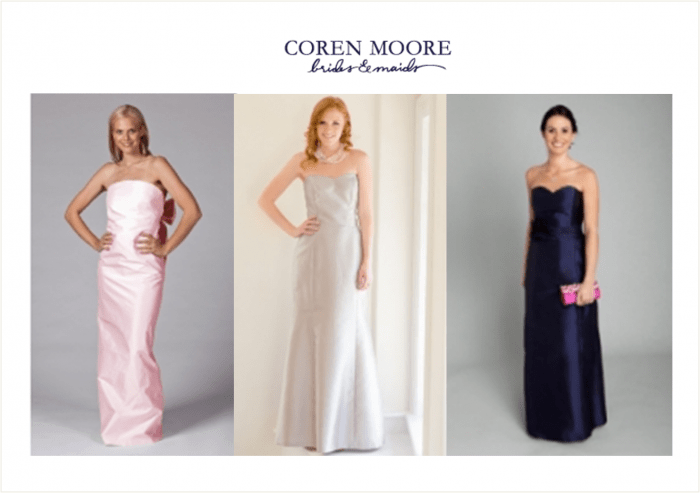 Coren Moore’s dresses are really everything a bride could want for her bridesmaids. The classic styles are available in amazing vibrant hues, or barely-there pale pastels, if you so choose. The silhouettes are full of little details, and have become the go-to choice for classic weddings; they are highly appropriate for a preppy coastal wedding or country club wedding, but wonderful for very formal weddings, too. And, the bride herself has several bridal gown styles to chose from – full of the detail and elegant style found in all the dresses. The bridal gowns are also all monogrammed with your initials and wedding date – what a wonderful thoughtful touch! How did these wonderful dresses come to be? Well, Coren Moore got her start designing dresses for friends, and, not surprisingly, her designs caught on and she began to get many referrals from her happy customers. Apparently, I’m not the only one who had that ” Where did they get those amazing dresses? ” moment! The styles come in long and short versions, and fabrics like silk shantung, gazar, faille, and one of my summertime favorites – cotton seersucker. They are customizable in color, fabric, and can be done in two colors, if you wish! They are available to try on, size, and order at fine bridal boutiques. Please see the locations section to find the one nearest you. In addition to the rich hues, fine fabrics, and really, really flattering styles – it’s the classic, but notable, details that I love and think make the difference: a crisp bow here, a ruffle there, a little flattering tuck or gather. All of it gives a polished look that any woman would want to wear for a wedding, or for any event. Coren Moore takes care of the rest of the wedding party, too. There are beautiful styles for Flower Girls and Junior Bridesmaids, and ties – some made in partnership with Vineyard Vines — for the grooms and groomsmen. Accessories are also offered, like sashes to either match your dress or to provide some fun contrast ( for instance: pink with navy) with your wedding colors. I intend to feature more Coren Moore dresses in upcoming styling sets like I did in this Nautical Wedding feature for Bayside Bride. 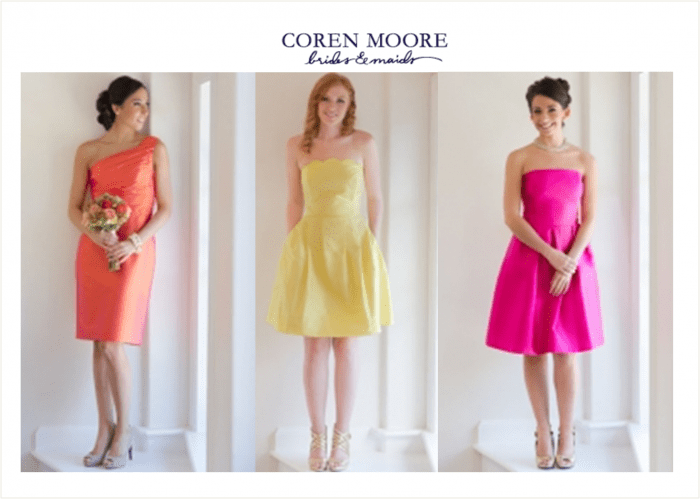 But for now, take a look at some of my favorite Coren Moore styles, or pick out your own. To see how amazing these dresses look on real ladies, view the Real Weddings section to see how gorgeous these dresses are on ladies of every kind. To top off this post, I’ve made one set with one of the truly one of a kind looks. 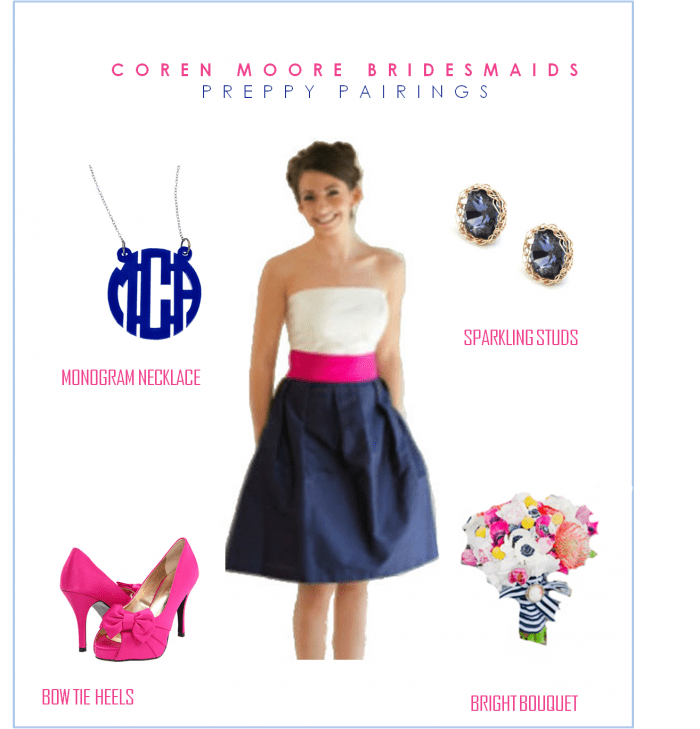 I love this white, navy, and pink Courtney dress, and I wanted to pair it a monogram necklace, some bright pink heels, and a bright happy bouquet for a really bold, bright preppy look. So, as you can see, you don’t need to go to a wedding to add another one of those, “When I get married, I”ll…” details to your mental wedding planning files! 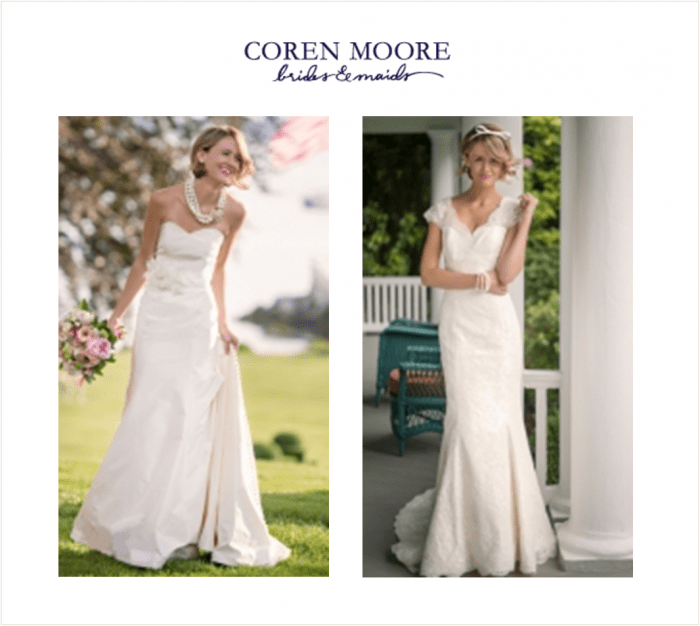 Learn your lesson from me, and make a note to consider Coren Moore dresses from the start of your wedding planning process!